A fish stick frozen in ice falls to the ocean floor, and Mr. Krabs uses it as a tourist attraction, but things turn to chaos when he thaws out. Patrick invites SpongeBob to play on the seesaw, or as Patrick calls it, the "See". Larry describes an average day for himself as the lifeguard at Goo Lagoon. SpongeBob and Patrick visit a bubble themed amusement park. SpongeBob accidentally bumps into a passerby, spilling their two drinks and absorbs both, but solves the problem by mixing the two drinks together. Plankton gets a gang of amoebas to help him steal the Krabby Patty formula. When squidward lies to SpongeBob about being sick to avoid his house party, SpongeBob and his friends decide to pay him a visit to make him feel better. 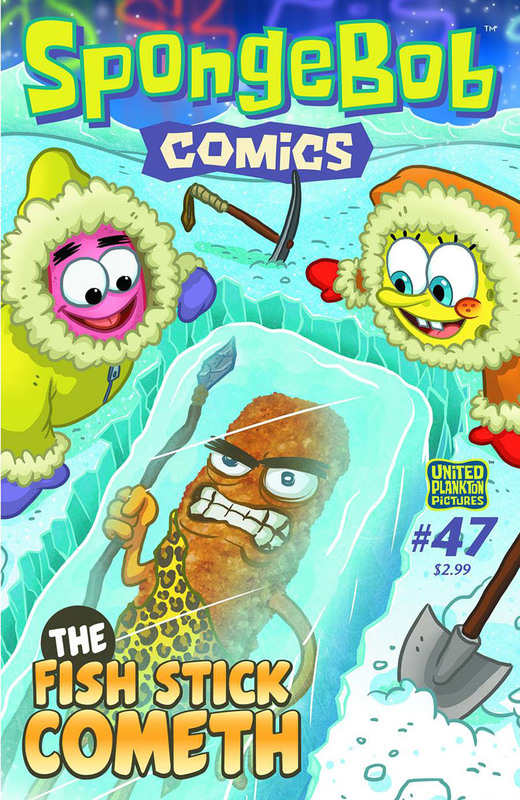 Random fact: The story "No More Mr. Ice Guy" features a live action fish stick.